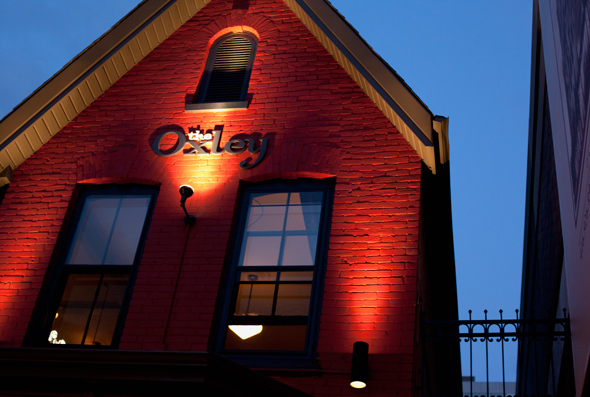 The Oxley only recently opened its doors to the commoners living in the Yorkville area, but they are off to a great start. Sandwiched by their two quaint patios, they're all charm and sophistication. The Oxley exudes what every good and proper pub aspires to be. Owned by the Queen and Beaver pub team and expats Jamieson Kerr and Chef Andrew Carter, The Oxley is less sporty than its sister pub, likely a nod to the less sporty clientele. 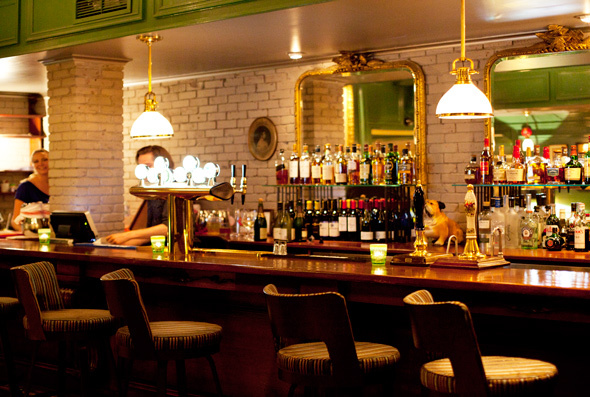 Previously occupied by a Hungarian restaurant, the Oxley swung a hammer thru the galley style interior and brought in well thought-out and comfortable pub dĂŠcor, with nary a fox, toad or firkin in sight. Personal space is well respected here; tables aren't crowded in the narrow dining room, elbow room is kept in high regard, and conversations aren't bounced across every wall in the room. This is an inviting pub you can actually relax in, without the fuzzy red velour that infects most competitors. Service is just as pleasant as the tasteful interior. Friendly without being obtrusive, our server didn't hesitate to suggest her fave dishes off the British dominated menu. If you haven't experienced proper pub food (Guinea fowl, organ meat pies) then the Oxley will certainly surprise you. Offering a wide selection of ales and lagers, the server also suggested the cask ales which are traditionally served at room temperature (gives true meaning to pulling pints). We opted for the darker cask ale ($8.50) and a bottle of Stone Hammer ($6). Channeling our English roots, and caving to our pickled hankerings, we started off with the Aged cheddar and Branston sandwich ($16) with house made salty crisps (chips). For those not inclined, Branston is a popular UK condiment that features pickled rutabaga, onions, carrots, all muddled into a black mushy spread that somewhat resembles jam. Spiced with mustard, coriander, cinnamon, cloves, nutmeg and more, it's definitely an acquired taste. I tend to avoid the jarred stuff, but was compelled to order it when told it was house-made. Served on white bread with buttery white cheddar, the pickle was salty as well as sweet, and the combination of flavours made it memorable. The crisps were a nice touch, served in a parchment bag ensuring a good crunch, and tucking a few in with the cheddar adds a further dimension to the differing textures. 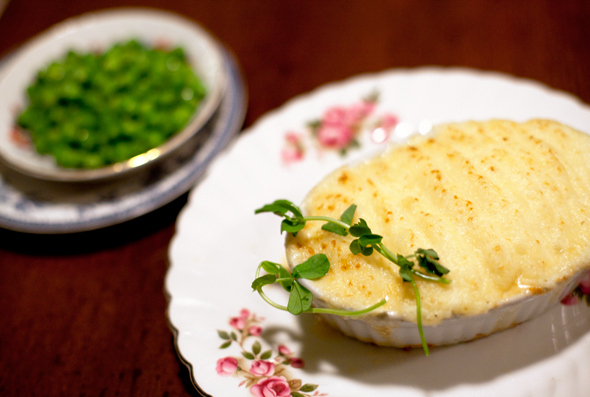 The Fish Pie with peas ($22) was served Shepherd's pie-style, with a mashed potato topping replacing the puff pastry that's usually a feature of most British pies. This resulted in one giant heavy trough of potato, cream and five types of fish: scallops, salmon, halibut, mussels and lobster. Each fish got the special treatment; cooked individually first to guarantee that the fish retained its natural form rather than turning into a mushy fish mess. 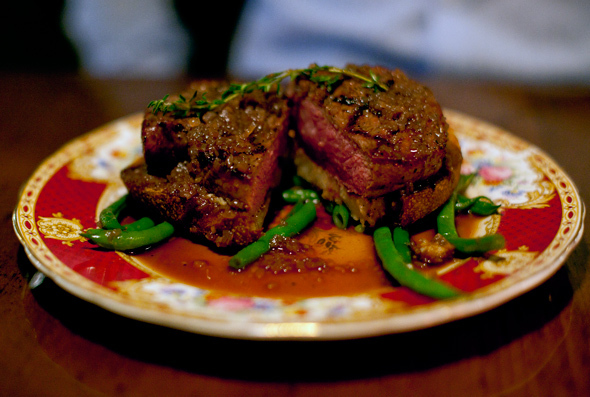 The Rib Eye ($38) served on crisped white bread with a generous slathering of stilton sitting atop green beans was an inventive take on a classic. Steak and blue cheese is always a stellar combo, and the upgrade to proper British stilton propelled the juicy medium rare steak into meat glory. The Sticky Toffee Pudding ($8) lived up to its name. Served with a scoop of vanilla ice cream, the steaming pudding had definite notes of molasses and brown sugar. The portion was ample and the ice cream cascaded into a melting river of vanilla, adding a lovely creamy consistency that balanced the denseness of the pudding. 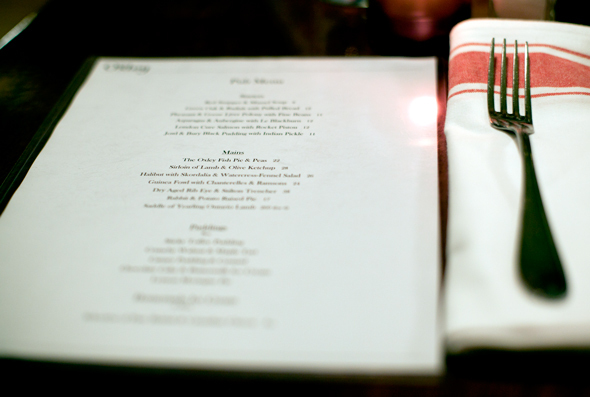 Both the bar menu and the full dinner menu promise that all manner of appetites will be satisfied, and with the 2012 London Olympic Games coming, I predict the Oxley's tempting commonwealth nibbles will shine a spotlight on modern British cuisine. Just remember, it's still Yorkville, so mind your P's and Q's and bring a few extra quid, it's not your average Toronto pub. The Oxley takes reservations, although not for the patio.